Emarketer predicts 60% of the U.S. will be accessing CTV content by 2022. Innovid says CTV impressions have grown year over year by 106%. In 3Q18 alone, cable and satellite providers lost 1.1 million subscribers, making it officially the largest quarterly loss ever. Tiring of outrageous cable bills and unsatisfactory customer service, people are cutting the cord with more frequency - and that's opening up tremendous opportunity for local businesses in the emerging OTT/CTV ad space. What the heck is OTT/CTV? When we talk about OTT we're talking about Netflix*, Hulu*, Amazon*, Roku, and SlingTV. (*Currently, you cannot buy OTT ad inventory on these 3 providers, although Amazon allows you to download apps you can buy inventory in.) Increasingly, consumers are going "over the top" of cable providers and getting their content streamed directly to them on whatever device they prefer: TV, desktop, tablet, phone - it doesn't matter to OTT. Technically a subset of OTT, CTV refers to video watched on a television set connected to the Internet. But when you think of CTV it is primary on the "big screen" of a television. 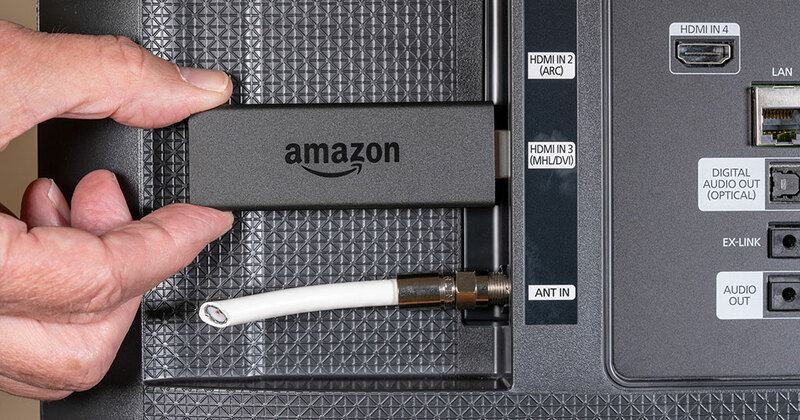 Users often download apps to their CTVs that will stream content, again without the middleman of a cable provider. Why is OTT/CTV better than cable? 1) Targeting. Advertisers buy cable based on what networks or shows "do well" with their target demo. We buy HGTV because our target audience is DIYers. We buy Lifetime because we want to reach women 34 to 55. Yes, you do reach people with cable who may be potentially interested in your business, but when compared with the targeting we have at our disposal online it leaves a lot to be desired. Online, we can target ads to people based on their demographics, interests, behaviors, purchase intent, past interactions with our business, and more. All that data can be used to target paid search ads, YouTube ads, social ads, display ads, and now OTT/CTV ads. If you're a local hockey shop running a sale on skates, why buy 30 seconds on ESPN when you can buy OTT/CTV video spots programmatically targeted to a people who are fans of the NHL, play on a men's league hockey team, and are actively looking to buy a new pair of skates? 2) Tracking. In addition to hyper-targeting, advertisers can track an ad's performance with OTT/CTV - something unheard of with cable TV. You can see how many people viewed the ad, how many clicked on it, if they purchased something online, and even if they came into your store. Try getting that level of performance data from your local cable rep! 3) Cost effectiveness. Buying local cable can run anywhere from $150 to $1,500 or more per spot depending on the network and show. That's for 30 seconds of airtime seen by an unknown number of people who may or may not be interested in your business. OTT/CTV is purchased on a CPM (cost per thousand) basis. Typically, CPMs are around $15 to $20, which means that to reach 1,000 people (highly relevant people because of targeting) it costs you only a fraction of what it would cost on cable. With cord cutting becoming increasingly more popular, the reach of local cable will continue to decline. Cable companies will struggle to justify their rates in the face of this new challenge, and advertisers will move ad budgets to channels that provide more results. With targeting, tracking, and cost-effectiveness, OTT/CTV is poised to be the ideal place for cable advertisers to move. The great news is that right now only a tiny fraction of advertisers are currently active in the OTT/CTV space. Savvy local advertisers who make the shift now and take advantage of the low competition and low cost of entry will definitely reap the benefits. They'll also be set up for future success when OTT/CTV really takes off, having been one of the early adopters in the space. Mike Peters is the Online Media Director at J Miller Marketing, a full-service international advertising agency specializing in working with franchise clients, where he oversees the online department and provides strategic and tactical recommendations for clients advertising in the digital space. Contact him at 847-669-1515 x117 or mike@jmillermarketing.com.